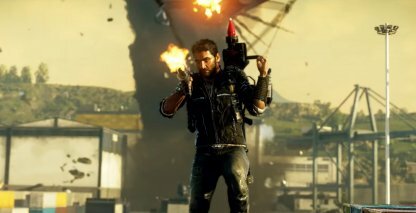 Find all Operation storyline missions available in Just Cause 4 in this comprehensive list! Read on for walkthroughs, play tips & more! 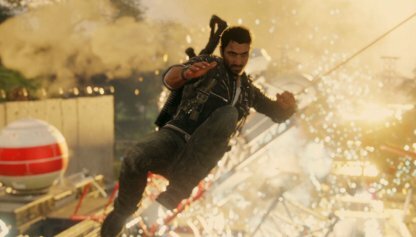 Operation Missions are the main storyline missions that you need to complete to progress in the Just Cause 4. These missions can be distinguished by the shield-like marks for their mission icons. Most Operation Mission have prerequisites that you need to meet before being able to take part in them, spanning from liberating adjacent regions to completing certain missions. You will need to first rack up Chaos Points to earn Squad Reserves to allow Army of Chaos to expand to your destination. Before expanding Army of Chaos' frontline, you will need to complete regional Strike Missions to unlock that zone for liberation. You will be able to use your Squad Points to open these points to unlock the region after completion. 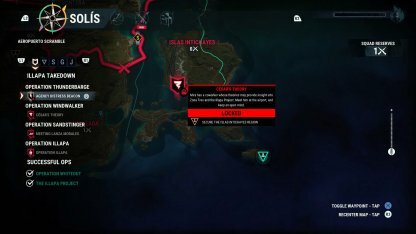 After having completed Liberation prerequisite, open the Map menu to expand the Army of Chaos' frontline across the map; in which unlocks new rebel drop items and vehicles. Repeat the step 2-4 until you reach your Operation Mission location. Rico's mission takes him to the exotic land of Solis, South America. In this adventure, Rico aims to uncover hidden secrets of his past and spearhead the rebellion in this country, oppressed by the sinister military organization; Black Hands. By completing Operation missions, new activities will be available for you to partake around that region; ranging from Challenges to new bases to liberate.